Unveiled to the world back in 1931, the first Rolex Oyster Perpetual model represented a milestone in terms of watch-making technology, combining two of the brand's most impressive innovations - the water resistance of the Rolex Oyster case and a new self-winding mechanism with a Perpetual rotor. Today, the name Oyster Perpetual appears before various Rolex models, signifying that the model in question has a water-proof case and a self-winding movement. 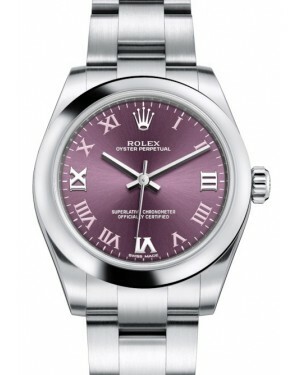 Additionally, the Oyster Perpetual 26, 31, 34, 36 and 39 models serve as a collection in their own right. 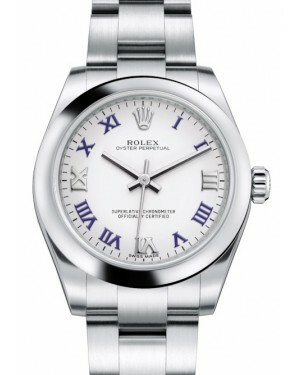 In this post, we look more closely at the full history of the Oyster Perpetual. To examine the history of the Rolex Oyster Perpetual, it is important to first look at the creation of the first Rolex Oyster case. Released to the public in 1926, the case system was invented by Hans Wilsdorf and featured a screw-down bezel, case back and winding crown, protecting its inner workings from water, dust and sweat. In order to demonstrate the case's capabilities, Rolex gave an Oyster to a swimmer, Mercedes Gleitze, who swam across the English Channel. The watch emerged completely unharmed. Then, in 1931, the first Oyster Perpetual model was released, complete with a self-winding movement, further enhancing its water resistance. Then, in 1945, the Rolex Oyster Perpetual Datejust broke yet more new ground for the manufacturer, marking the first self-winding wristwatch to ever be fitted with a date display window. This model was released in conjunction with the new Jubilee bracelet, which was created to celebrate the brand's 40th anniversary. 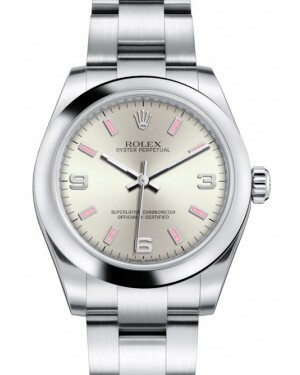 In 1953, John Hunt, Edmund Hillary and Tenzing Norgay became the first people to successfully climb Mount Everest and a Rolex Oyster Perpetual Reference 6098 reached the summit with them. The success of this model in withstanding such tough conditions led to the development of the professional Rolex Explorer later in the year. 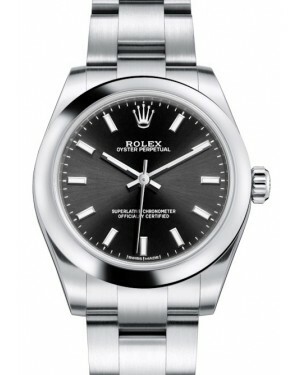 That particular year also saw the introduction of another Oyster Perpetual collection, the Rolex Submariner dive watch. This was followed, in 1956, by the release of the Oyster Perpetual Day-Date, which featured the new President bracelet, a day display window and a date display window. The date display window's legibility was also enhanced by a magnifying lens, known as the 'Cyclops' lens, and this is now an iconic part of the collection. Over the course of the years that followed, the Oyster Perpetual collection expanded to include such models as the anti-magnetic Milgauss, released in 1956; the Daytona, released in 1963; the highly water resistant Sea-Dweller, released in 1967; and the Explorer II, released in 1971. In 1992, Rolex brought the Oyster Perpetual into the modern era with the release of two new collections - the Yacht-Master and the bejewelled Pearlmaster. The Yacht-Master II followed in 2007, while additional Oyster Perpetual models from the modern era include the 2008 Deepsea and the 2012 Sky-Dweller. Since 2000, many of the Oyster Perpetual models have included the patented Parachrom hairspring, which offers significant improvements to the levels of shock resistance achieved in earlier models. Today, the Oyster Perpetual base models include the Oyster Perpetual 26, 31, 34, 36 and 39, all of which include no date or day display, have fixed bezels and offer water resistance for up to 100 metres. Moreover, the 34mm Oyster Perpetual Date is often included alongside these, despite its similarities to the Datejust collection.